A fantastic solution to an inconvenient problem. 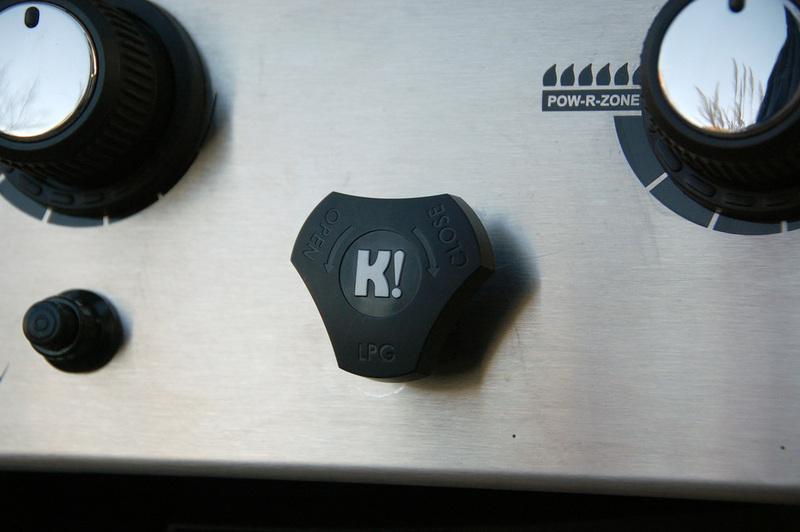 Think about this for a minute: why are all the controls on your gas grill front and center on the control panel, except for one…possibly the most important one? The one that controls your fuel at its source. The one that all but eliminates the possibility of propane loss. The one that, if used regularly, can make your grilling experience safer. Why, in this day and age, do we still need to crouch down and shuffle up to our grills like monkeys, then run a gauntlet of grill parts, spider webs and scorched forearms, just to turn the propane on and off at the source as recommended? Knob Where You Need It! allows you to open and close the valve on your propane tank from a safer, more convenient, more memorable location. This innovative new product is a fantastic solution to an inconvenient problem! 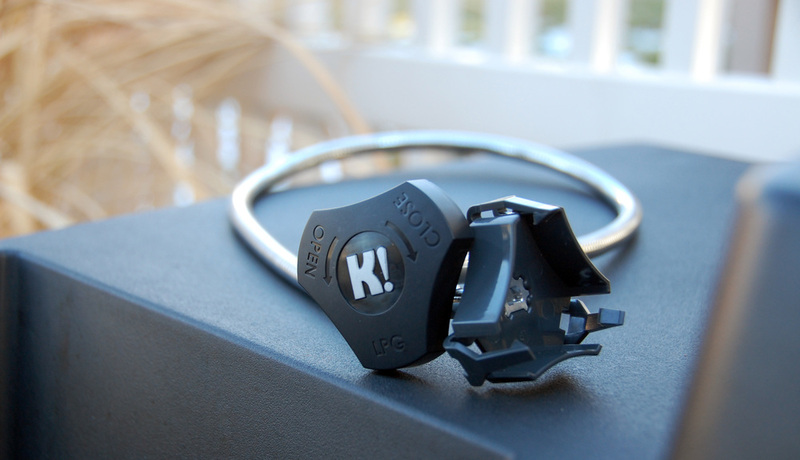 Knob Where You Need It!’s patented design will add safety and convenience to your grilling experience in just minutes! Although the backyard BBQ has been part of United States history for over 75 years, it took quite a while to evolve into what it is today. In 1897 charcoal briquettes were invented, yet the first Weber grill wasn't made until 1952. Before that, open, lidless braziers that didn't cook well were common. In 1912, propane was discovered. Five decades later, in the 60's, the modern day gas grill finally made its debut. Sadly, not much has changed since the introduction of push button ignition and infrared burners in the 80's. Until now! We've solved a problem that's been in existence since the dawn of propane grills. Why is the knob on the propane tank still located in such an inconvenient, unsafe and hard to reach place? Now, you no longer have to reach under and around your hot, dirty grill to turn the tank off! Now, you can remember to turn your propane tank off! Now, you have total control of your grill! Now, you've got the Knob Where You Need It! Welcome to the evolution of grilling! Knob Where You Need It! was developed by brothers Adam & Cory Civilla, two grilling enthusiasts who saw a way to make propane grilling even more safe, convenient and enjoyable. The idea for Knob Where You Need It! came in the summer of 2013 on a patio outside of Minneapolis, MN. As Adam went to turn off the propane tank on a friend’s grill, ducking under the side table while contorting around the hot grill body he said something like, “Why don’t these things [grills] come with a way to turn the gas on and off from a place you can reach?” To which, his buddy retorted, “I don’t know, man, why don’t you do something about that?” So, we did. And now you can do something about that too.